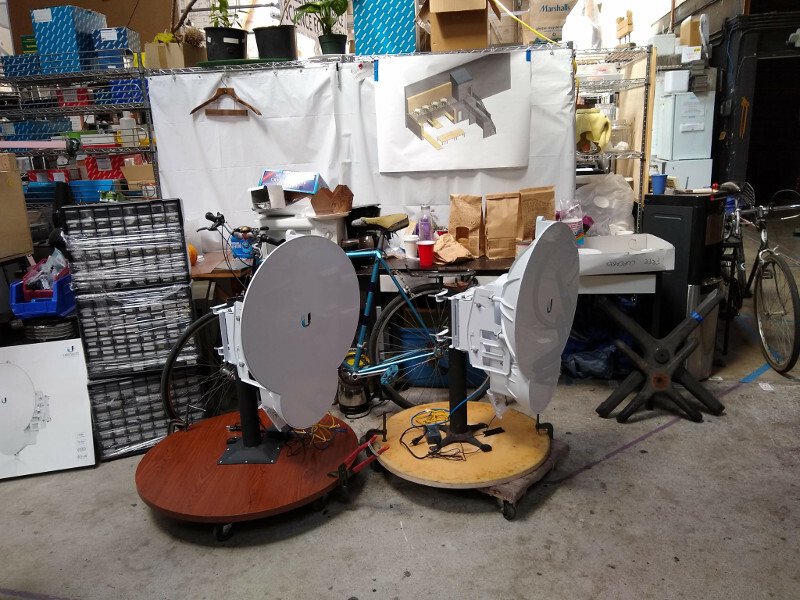 Last Sunday during our (mostly) regular office hours, we unboxed two Ubiquiti 24GHz airFibers. These are really big radios! 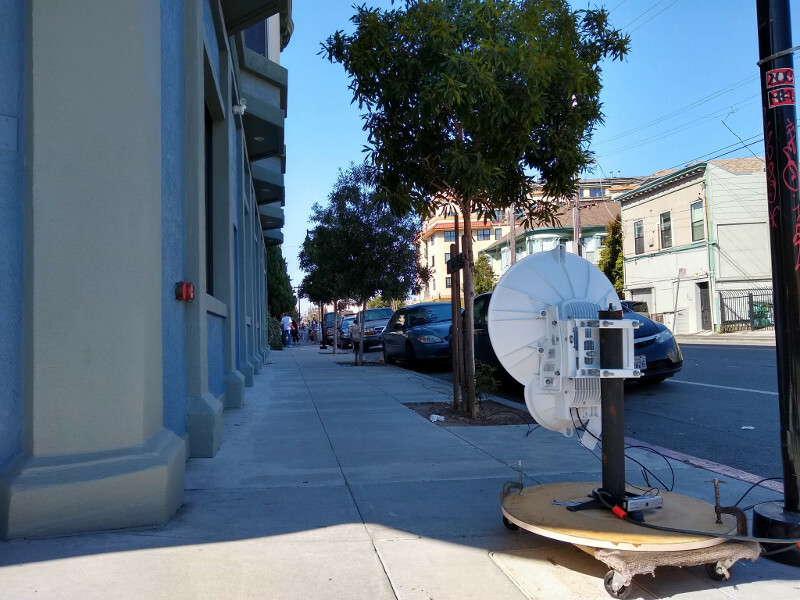 Much heavier-duty and more expensive than what people normally put on their rooftops when they want to join People’s Open Network. Why the new hardware, you ask? 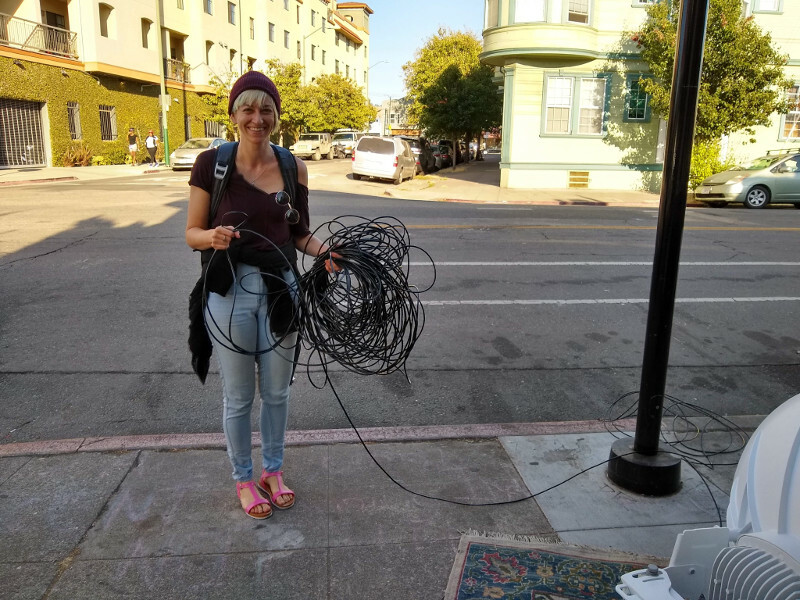 Because we’re preparing to set up a link to an ISP in downtown Oakland that has agreed to donate a gigabit of bandwidth! So our goal for the day was to get familiar with how to mount these radios* and to test their transmission rate, all in preparation for the real installation. The upside-down table mount method worked quite well. I highly recommend! 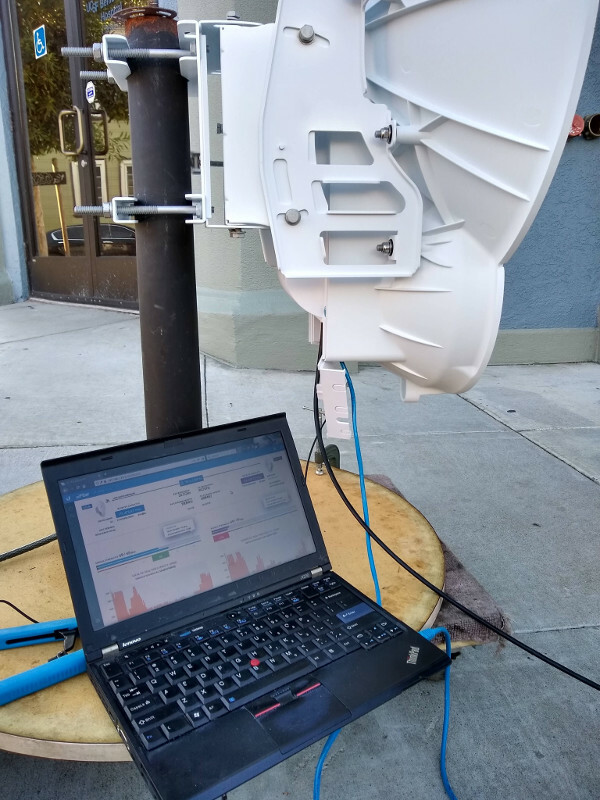 No better way to test mount an AirFiber. During this process, Mickey photographed and interviewed for a story he’s writing for Oakland North. These radios have pretty sweet mount hardware–you tighten a bracket to a rod, and then you simply drop the radios into the already mounted bracket. View from one end of the staging area. We set up a laptop at each end for configuring and debugging the connection. This was our first time setting up this hardware, so we made several configuration mistakes before eventually getting the radios to talk to each other. It turned out to be important to use grounded cable to provide power to each radio–without this ground, one of the radios tended to shut itself down. The other end of the block (~100m away–the minimum acceptable distance to use such powerful radios). Once the connection was live and functional, we tweaked the power settings a bit to try to maximize the transmission rate. We were able to get between 700 and 1000 megabits on each end. We’re hoping we’ll be able to do even better during the real mount, as we’ll have fewer bikes and people (ugly bags of mostly water 😉 ) in the way, and much better ground clearance, so hopefully a clearer fresnel zone. 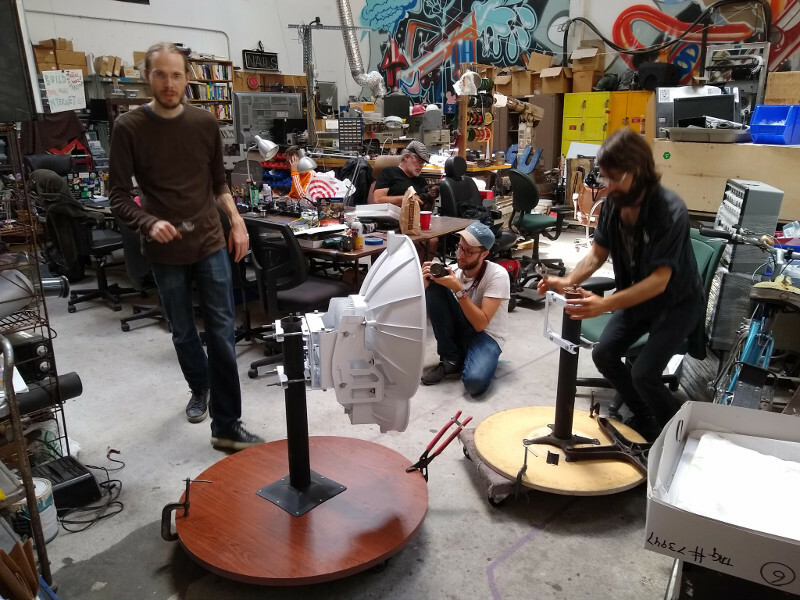 Now that testing is complete, our next step is to figure out good mounting solutions for the actual installation locations. 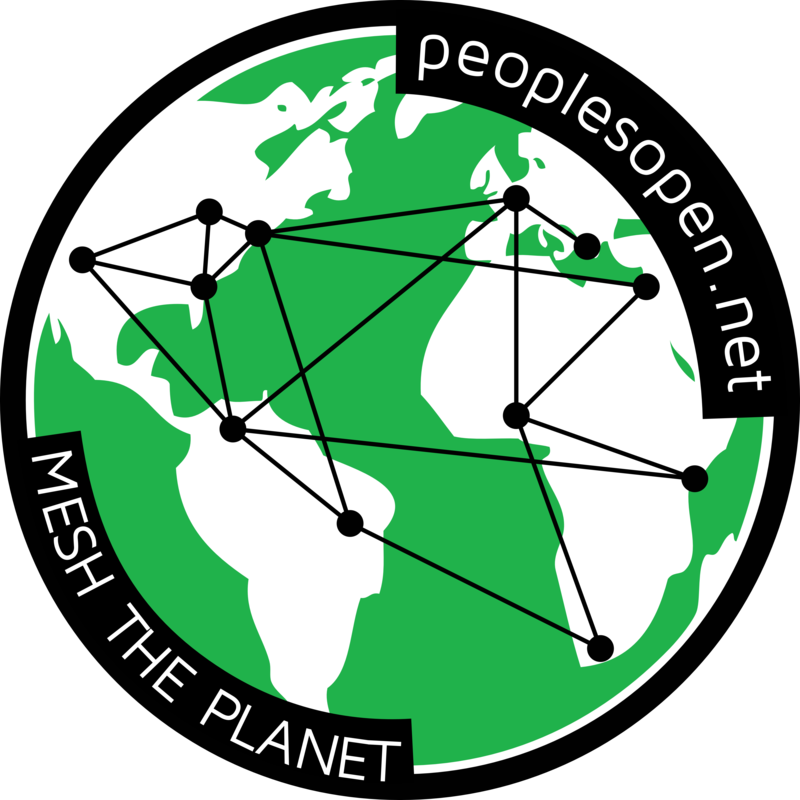 It’s going to be very exciting to be able to provide Internet access to folks once this link is up and running. 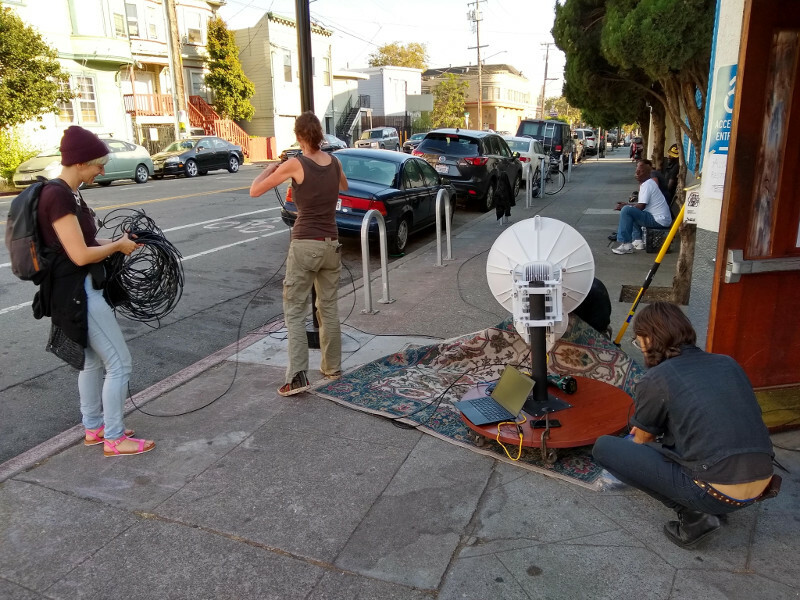 I have a feeling it will motivate more people all over Oakland and Berkeley to join the network, and I suspect it will give a boost of encouragement to people who are already on board, too. * During this process, I refined my vocabulary, and learned what distinguishes a “radio” from a “radio antenna” (thanks Juul!). A radio receiver is a device that receives and decodes information encoded into radio waves. A lot of people have these in their cars (and used to have them in their homes! ), and we tend to simply call them “radios”. Similarly, a radio transmitter is a device that produces radio waves carrying some kind of encoded information (e.g. today’s top hits). The radios in the above photos both transmit and receive radio waves, so you might call them radio transceivers. Meanwhile, a “radio antenna” is just a piece of metal (or other conductor) used by transmitters and receivers to physically emit or intercept traveling radio waves. Now you (and I) know! ← Rebooting Digital Security Workshops!